Whisper it quietly, but Argentina’s seductive Malbec has a serious rival for the title of best Andean red. 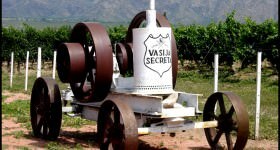 I say whisper, because Malbec is the country’s undisputed flagship grape, launching Argentina on to the global winemaking map and it continues to be synonymous with the country’s wines. And little wonder. As a variety it runs the gamut from generously fruity crowd-pleasing wine to a heavyweight champ, swirling with dark violet aromas and dense hints of cherry, spice and chocolate on the palate. Malbec is as distinctive as a gaucho in a local London pub and just as characterful in the glass. But now there is a pretender to the throne. 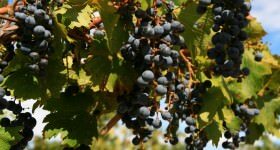 Having just returned from a fortnight in Argentina’s stunning wine country, it’s pretty clear there’s a serious rival for the quality crown in the shape of Cabernet Sauvignon. 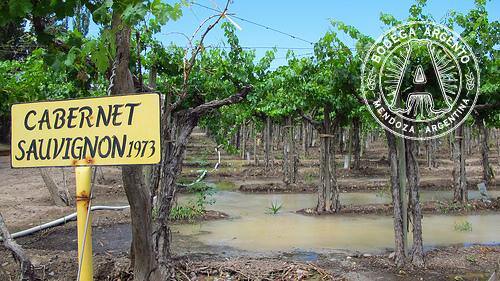 This scion of the great vineyards of Bordeaux has proved a happy émigré to Mendoza and elsewhere in Argentina. 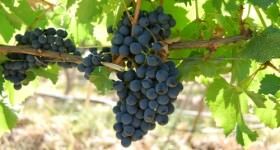 And, like Malbec, Cabernet Sauvignon has taken to the high altitudes, ample sun and rocky soils with gusto, producing similarly aromatic and generous wines, packed with ample fruit and spicy notes, well-structured yet drinking well when relatively young. As a standalone grape Argentine Cabernet Sauvignon reveals a quality and freshness of character that is often unrivalled anywhere else in the world. Better yet, blended with Malbec (and often other classic old Bordeaux varieties such as Merlot, Cabernet Franc, Petit Verdot) it arguably makes Argentina’s greatest wines. It’s no mistake that most bodegas top or ‘icon’ wines are similar blends with a serious dollop of Cabernet in the mix. 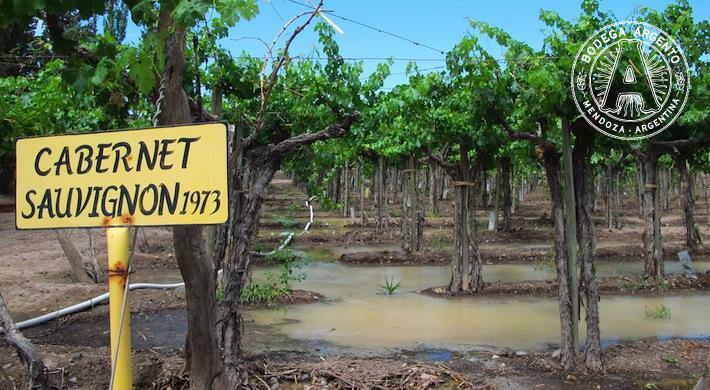 Cabernet Sauvignon vineyard in Mendoza; photo courtesy of Los viajes del Cangrejo. 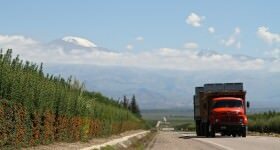 I’ve been travelling and tasting in Salta and Mendoza with buyers from some of the UK’s leading independent wine merchants. All agreed that the quality of Argentine Cabernet Sauvignon is, quite simply, world class. Beyond the tide of Malbec, Cabernet is something of a hidden gem and it’s now poised to join Malbec at centre stage. 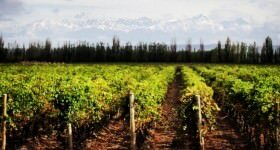 Argentina’s winemakers often stop shy of admitting that Cabernet can pip Malbec in terms of reaching the headiest heights and producing Argentina’s greatest red wines. Perhaps it somehow seems disloyal to Malbec, the variety that has gained them such global recognition. 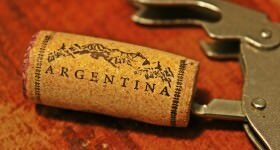 Prompt them a little, though, especially while the wine is flowing and the bife de chorizo sizzling on the asado, and most will confess that Cabernet Sauvignon has massive potential as the mainstay of Argentine’s top red wines. It also makes superb stand alone single-variety wines. 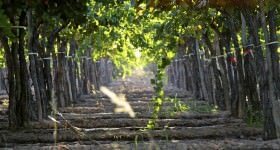 What’s more, with regions as diverse as Cafayate in the north and Patagonia in the South, plus the clearly emerging difference between the sub-regions in Mendoza, there is no shortage of stylistic variety in the Cabernet’s produced. Look to Cafayate and Salta for leaner, intense, minerally wines, expressing a purity of fruit and cooler climate aromatic styles. Similarly, in Mendoza’s Uco Valley, the high altitude, sun-slaked days and cold night air conspire to produce aromatic, intense yet finely tuned Cabernets that reveal great purity and can age well. Closer to Mendoza city, in the heartlands of Lujan de Cuyo, the blackcurrant intensity is tempered by riper red fruits on rich, mouth-filling wines. 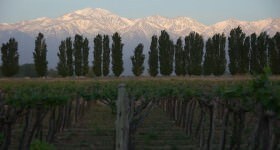 Further on yet, though Maipú and the lower, warmer Eastern Region, the intensity of character is replaced by a generous, easy-going style. 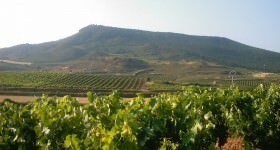 The current trend is towards wines that are rooted in one sub-region, or single vineyard at the top level, allowing them to fully express the local terroir or sense of place. 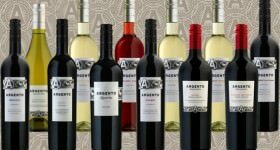 And the best thing about this is that you can quite literally taste the amazing diversity that Argentine Cabernet offers by lining these regional wines up side by side. The one common thread, though, is that all these regions are producing some quite stunning Cabernet Sauvignon. Malbec clearly has a serious rival for the accolade of Argentina’s best red wine. 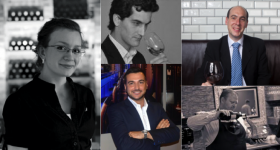 And blended together, often with a splash of other complimentary Bordeaux varieties, they become Argentina’s dream team. Why does chilled red wine taste better to me than wine at room temperature? Why do I like it even better with an ice cube? For me it depends on the wine in question. I'm actually a fan of slightly chilled reds, but by this I mean reds served 2 or 3 degrees cooler than modern room temperature, and certainly cooler than a bottle that's sat in the kitchen while the oven has been on. Too warm and the wine – especially a big, fruity New World number – can appear too soft and jammy. 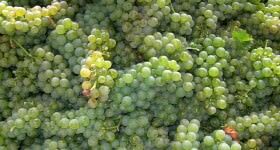 Cooler temperatures 'tighten' the wine, meaning the structure is more pronounced, the fruit less forward and (conversely) the wine seems fresher. Problem with an ice cube, though, is that it dilutes the wine. My preference would be to pop the bottle in the fridge door for 15-20 minutes.